No cosplay depiction of Leia Organa is complete without her trademark hairstyle. The Adult Princess Leia Headband makes it easier to portray the heiress of Alderaan and Rebel Alliance leader from the original Star Wars trilogy. 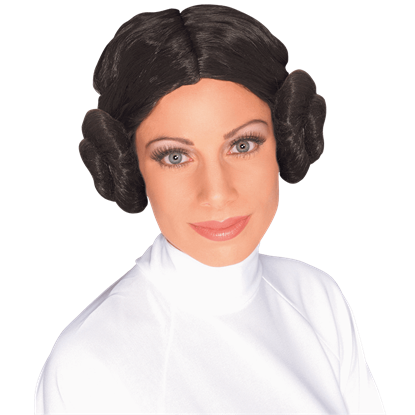 Add the final touch to your portrayal of Rebel Alliance Leader, Leia Organa, with the Adult Princess Leia Wig. 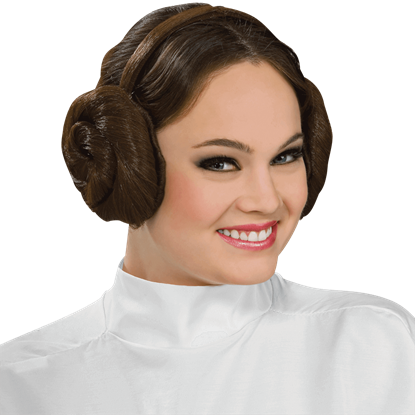 Based on the hairstyle she wore in the original Star Wars trilogy, this costume accessory is essential to your role. 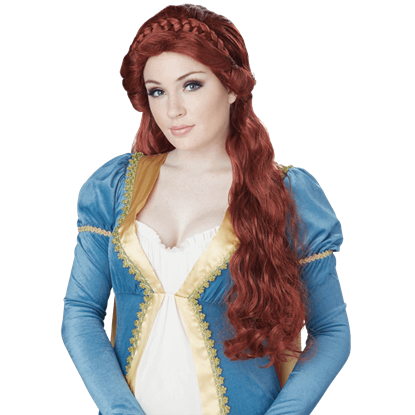 Embellish your demure elegance with the Auburn Medieval Beauty Wig, and you will surely be known throughout the realm for your unmatched loveliness. 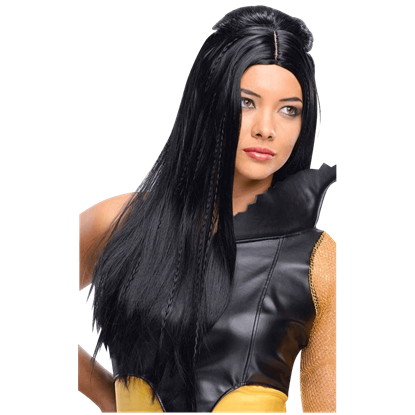 This long wavy costume wig features a striking yet natural dark red coloration. Venus, the Roman goddess of beauty, was often regarded as the most beautiful woman in existence. 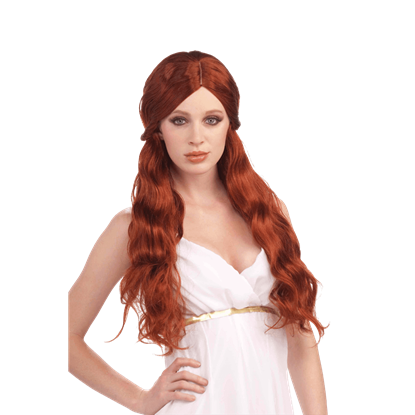 Now, you can contest that title, especially when you are wearing this Auburn Venus Wig, which makes you almost as beautiful as the goddess. 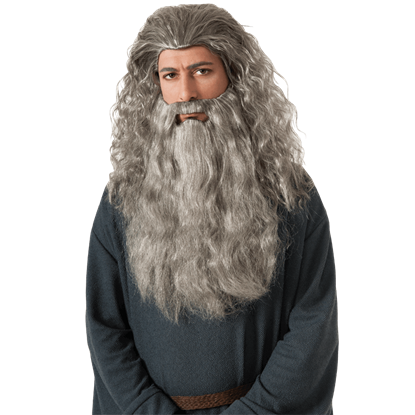 You will be transporting yourself back a few hundred years, fashionably speaking, when you wear this Black Barrel Curls Wig. 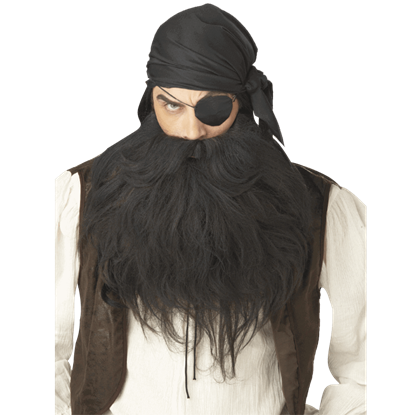 Charming and simple, this wig is the perfect hairstyle for a variety of looks that are both elegant and gothic. No name is quite as well known as Caesar. 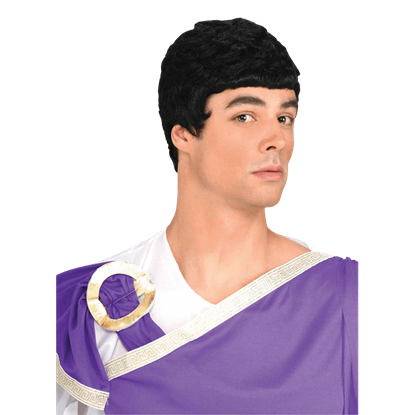 This Black Caesar Wig helps to duplicate the hairstyle of Julius Caesar during his younger years, when he was known as a great general who conquered armies and helped to quell civil wars. Some fairies would look perfectly normal, if not for their wings and manner of dress. Wearing this Blonde Fairy Wig, you will not be one of those fairies, thanks to this wigs striking color, which all but stands out in the light.